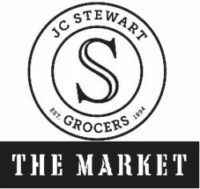 JC Stewart established its own dedicated Gluten Free Bakery in-store back in January 2018. Behind the scenes Anne Marie, the Head Baker, and her team constantly experiment with and explore new ways to use Gluten Free ingredients to produce a range of bakery products with outstanding taste and flavour. We pride ourselves on using quality ingredients and exclusive recipes giving each product a unique home-made taste. We have a wide range of products including Brown Soda Bread Loaf, Pancakes and Caramel Squares to name but a few. Our products are currently available in four outlets in Mid-Ulster – Eurospar Maghera, Eurospar Moneymore, JC Stewarts Magherafelt and Vivoxtra Castledawson.